I now have that very pistol back in my hands as a project gun. On the surface, it looks exactly like any older style Hi Power clone with its smooth lines, steel construction, military type notch and post sights, and bite-happy spur hammer. According to a lot of digging around, the earlier hot blued Kareen models are considered "mark I" or first generation pistols and were largely constructed of Hungarian FEG contract parts purchased by Israel. Some of them were made with varying degrees of newly manufactured Israeli components, but little info is available to detail the slow transition from surplus parts to domestic manufacture. This is what happens when you detail strip guns before taking glamor shots. The first generation pistols have a patchwork importation history in the US, sometimes listed under "Israel Arms, Ltd." through various importers. The only listing in the ever-handy Blue Book of Gun Values for "Kareen" is under KSN Industries, Inc. and notes that several models of Kareen by the aforementioned Israel Arms company were brought in by an importer called Jo Lo Arms in the early to mid 90's. 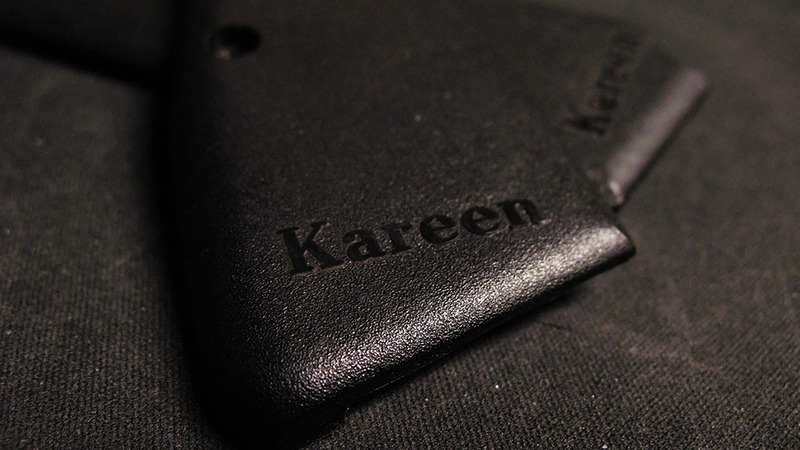 Curiously, the catalog also included a compact model Kareen which I have never encountered. 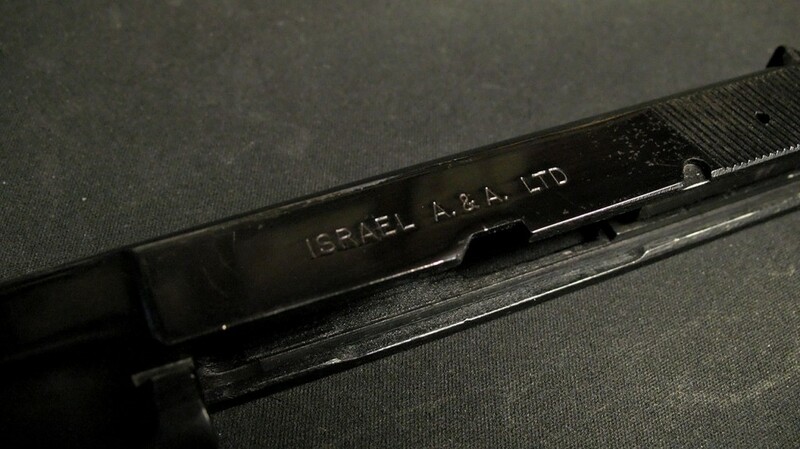 Our pistol is inscribed ISRAEL A&A LTD across the left side of the slide, and KAREEN over ISRAEL on the right side. High gloss blue, unfortunately rushed and too thin to hold up. 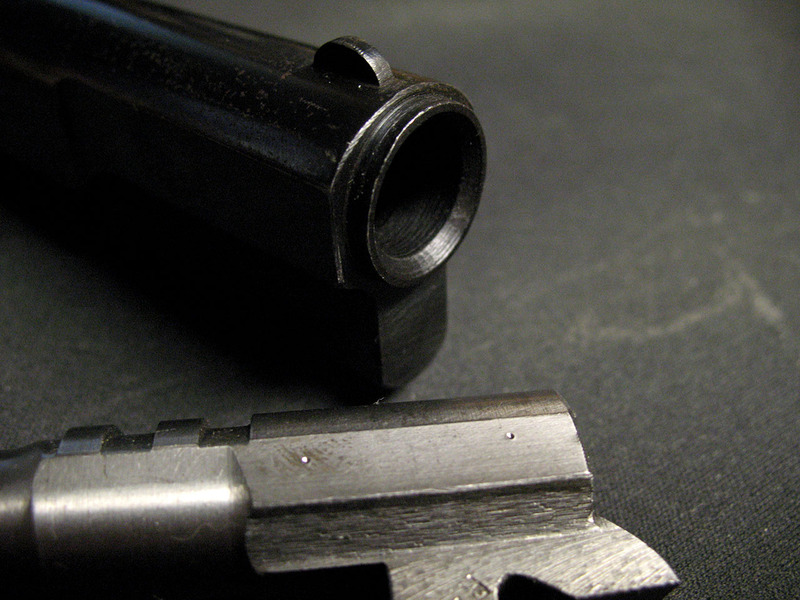 A final curiosity for the first generation blued Kareen pistol is that it utilizes an uncommon style of barrel bushing. Later Kareen generations did away with it, as have the newer Belgian made pistols according to the excellent Hi Power resource site Hi Powers and Handguns. The longer, more prominent barrel bushing has been called a "hog nose" and dates back to the mid to late 1970s era Belgian Hi Powers. It should come as no surprise that the other well known Hi Power copy to sport the hog nose is, you guessed it, the Hungarian FEG. The "hog nose" bushing and hardness tested barrel. Though Israeli forces continued to use the Hi Power in many forms, including captured pistols from scuffles with their invasion-happy neighbors, a push was made in the mid to late 80's to expand pistol production domestically. The Kareen Mark II was born, departing significantly from the classic Hi Power styling and shifting to a more utilitarian and modern design. 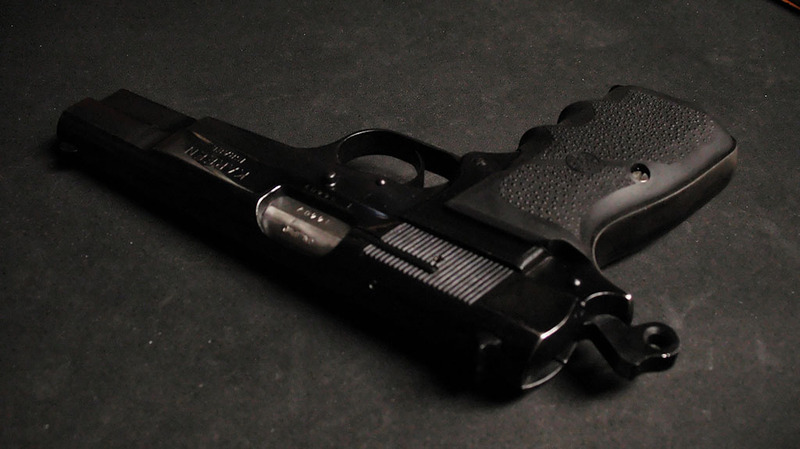 A larger, squared trigger guard sticks out immediately, and newer style ambidextrous thumb safeties were made standard. The finish was changed from glossy hot blue to various mixes of parkerized and two-toned depending on origin and vintage. The top of the slide was adorned with a shallow matted rib and new, more prominent combat sights. The third and final generation of Kareen pistols came about around the time of the federal Assault Weapons Ban, according to importer information from the Blue Book. These primarily two-tone pistols with a parkerized slide featured forward serration cuts, new finger groove Hogue-like wraparound grips and a dovetailed front sight. For a short time the third generation guns were available side by side in the catalogs with the first and second generation pistols. 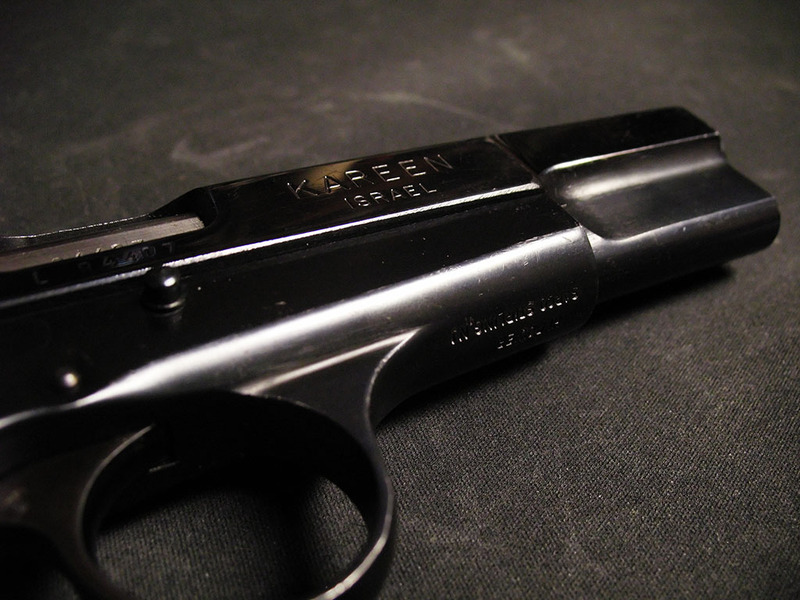 The Kareen is an odd duck that hasn't seen a lot of attention in the American gun market. Its sporadic importation, curious leaps in generational features and lack of a brand name like IMI/IWI to carry it turned what could have been a solid and inexpensive Hi Power copy into a red light special on the back of a surplus catalog. For all of the first generation Kareen's many problems, which we'll get into in a future post, it surely doesn't deserve the dubious sales catalog company of the PHP or deactivated trainer pistols!